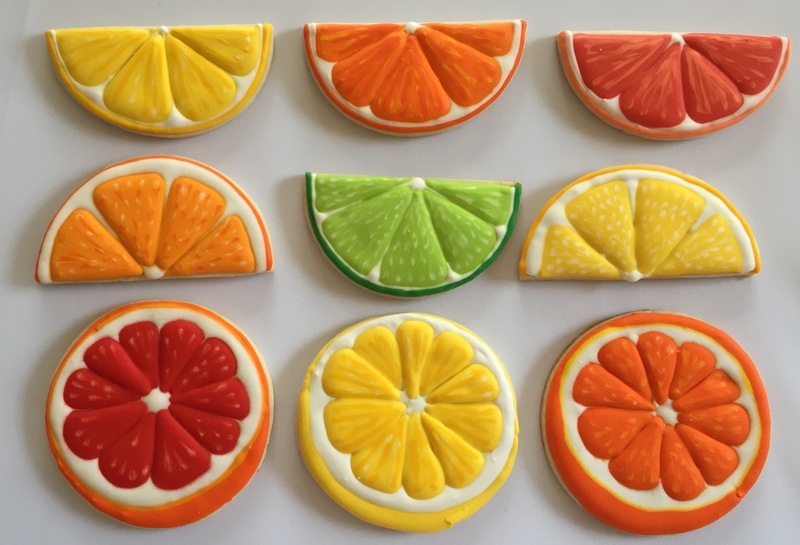 A few weeks ago, a colleague asked me to make summer fruit cookies for her Labor Day party. My first thought was how is it possible that summer is ALREADY over? Summer in Washington, DC is not for everyone, but I love summer and it always goes by too quickly. 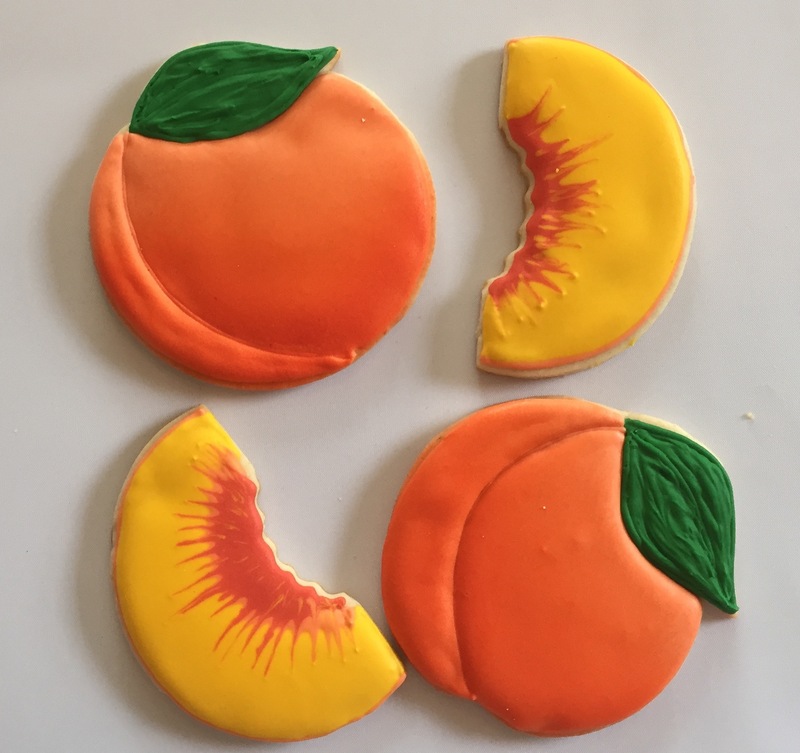 Once I got over the calendar shock, I got pretty excited to make these cookies and share this tutorial with you. 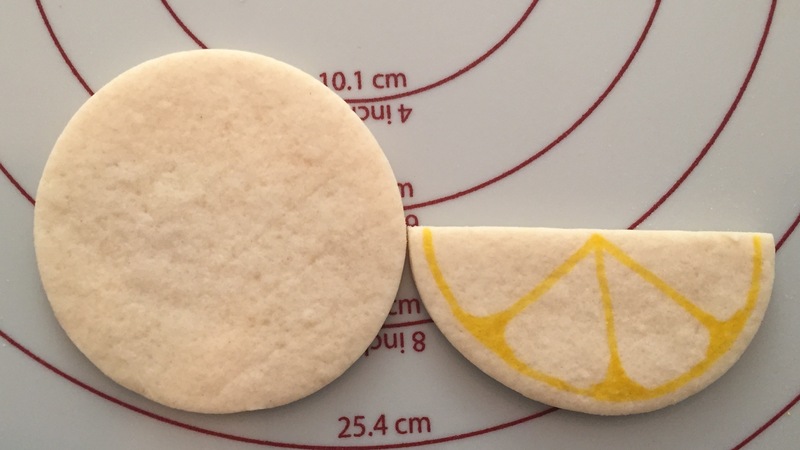 • Once the cookies have cooled completely, draw your design onto the cookie using a food marker. 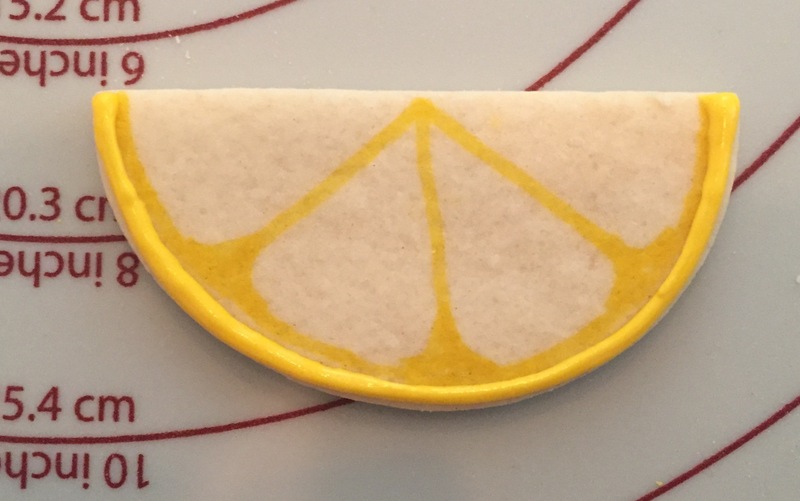 I prefer to draw the design on the cookie first because…well…sometimes (maybe) I am a little bit of a perfectionist. Let’s just say it’s good to plan and leave it at that. 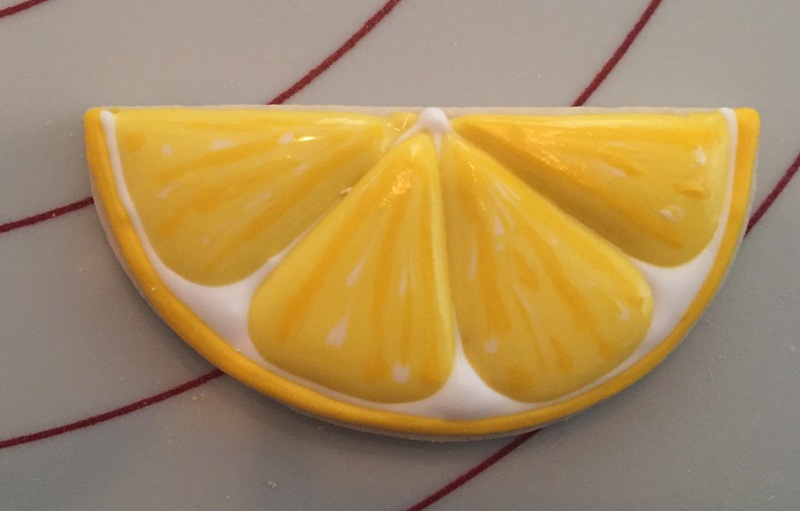 • I used 15 count royal icing to pipe these cookies but (as mentioned above) this is totally doable with store bought tubes, like my old friends, these guys. 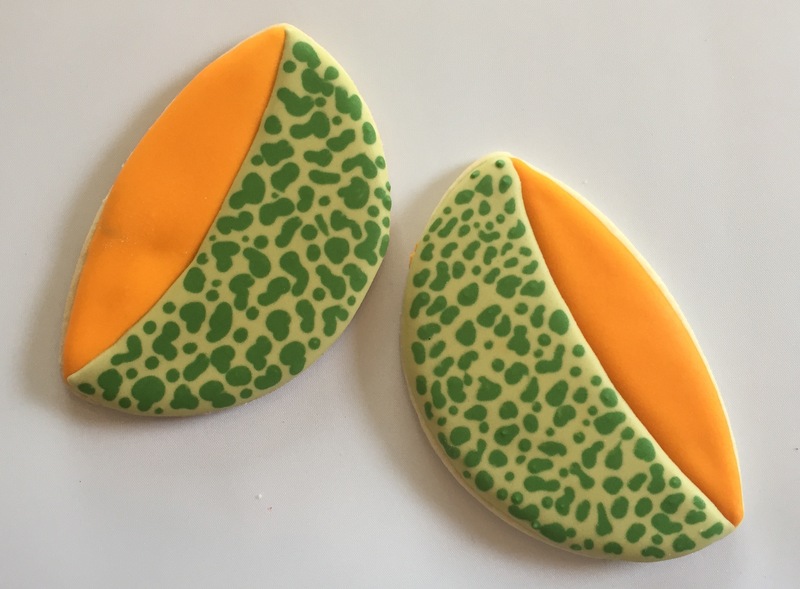 • Pipe the rind along bottom of the cookie. WAIT 10-30 MINS WHILE THE ICING HARDENS! • Once the icing has hardened–it does not need to be completely hard, just enough to hold its shape–pipe white icing over the marker lines. • Next, flood two non-adjacent slices. 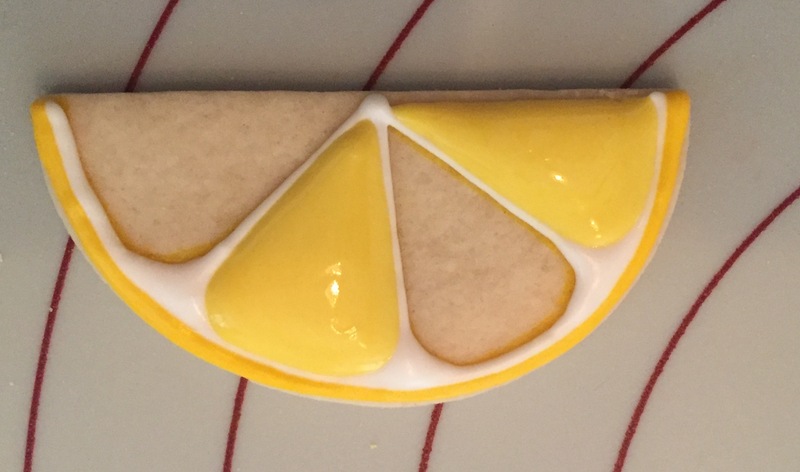 While the white icing borders will hold the yellow icing in place, I prefer to work with non-adjacent slices to prevent any overflow. 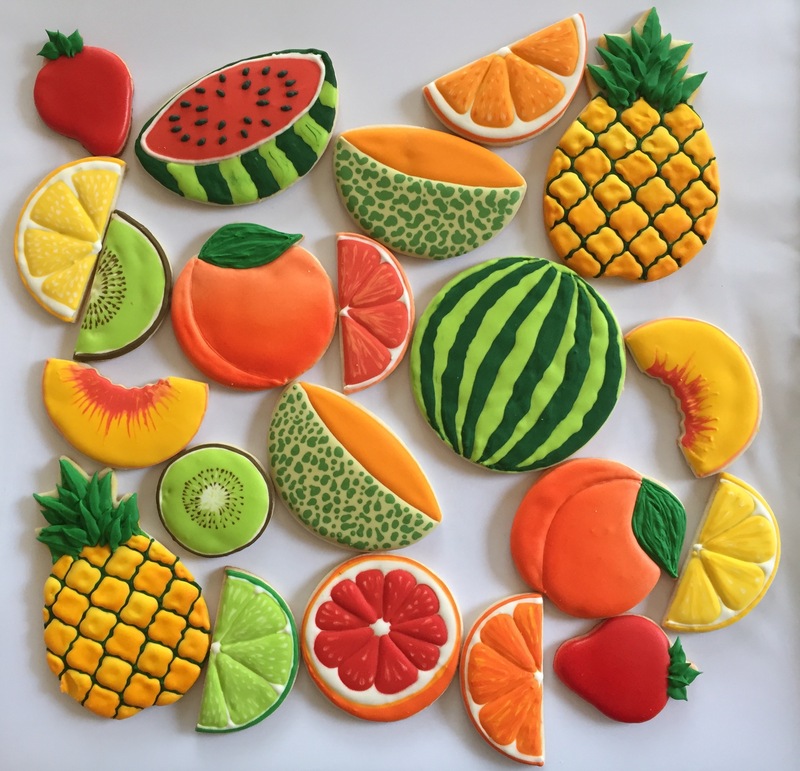 • Extra credit: I decided to add texture to the slices to make them look more like real fruit. This technique, called marbling, must be done immediately while the icing is still very wet. To do it, add a few lines and dots with darker and lighter shades. 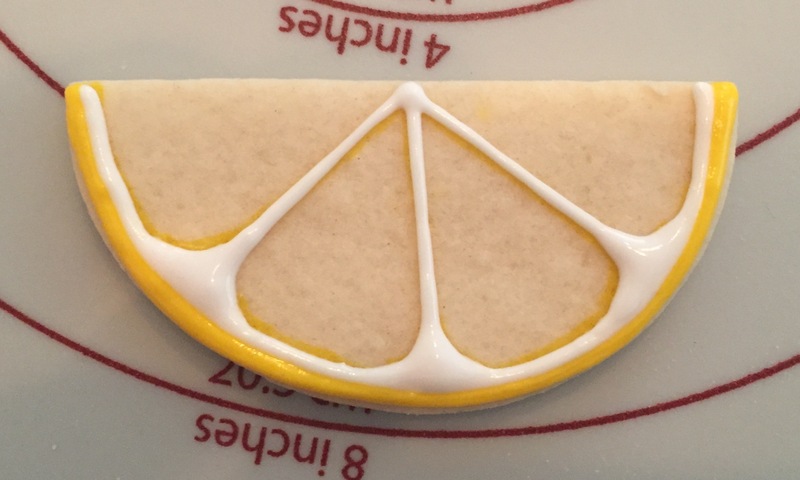 Pull the lines and dots through the base icing with a toothpick. 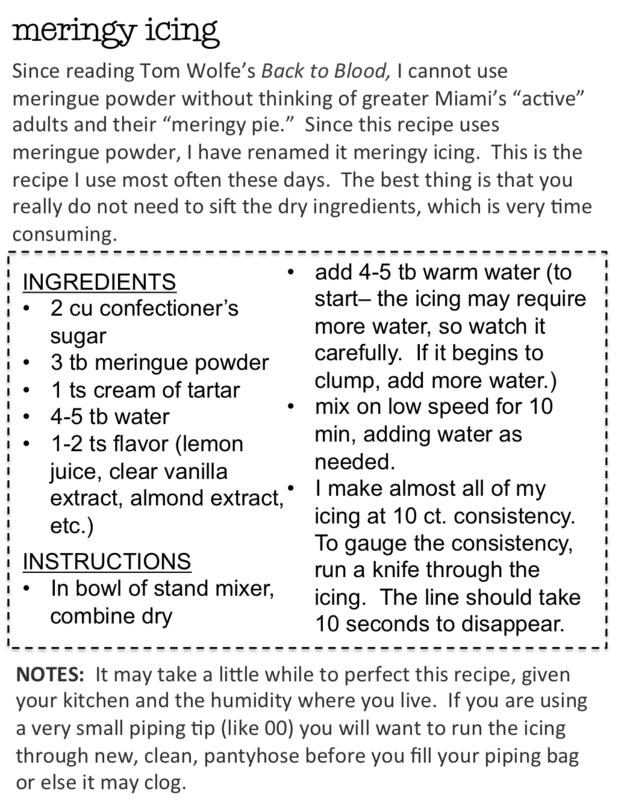 This technique is difficult with store-bought icing, but if you are using your own icing, you should try it. And here are the rest of my farewell-to-summer cookies. So long, Summer 2015. I loved you. They look absolutely beautiful. 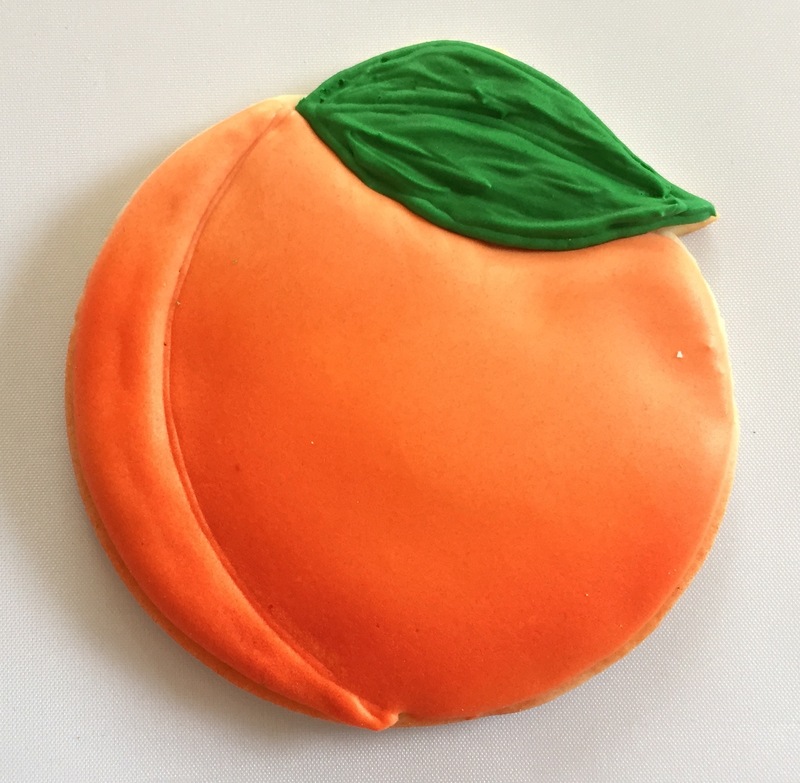 I am sure they are incredibly sweet–as is the baker herself.